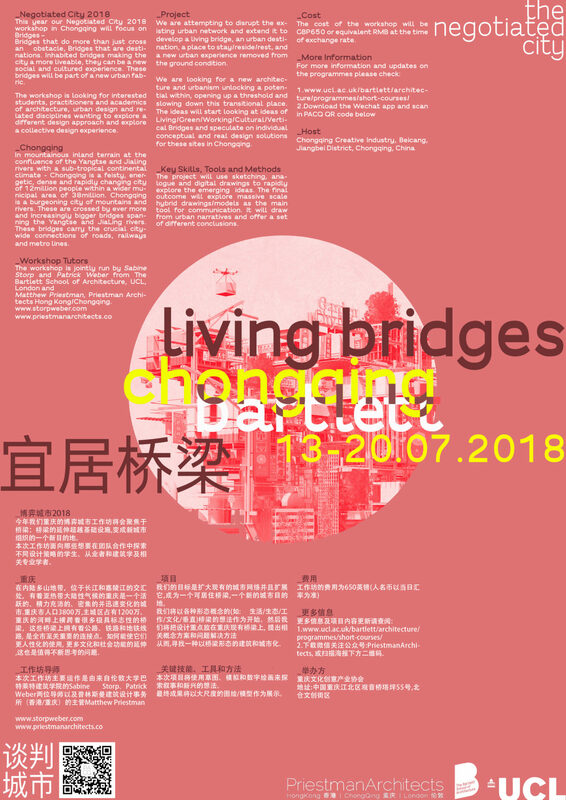 This year our Negotiated City workshop in Chongqing will focus on Bridges: Bridges extended beyond infrastructure to become destinations that are part of a new urban fabric. 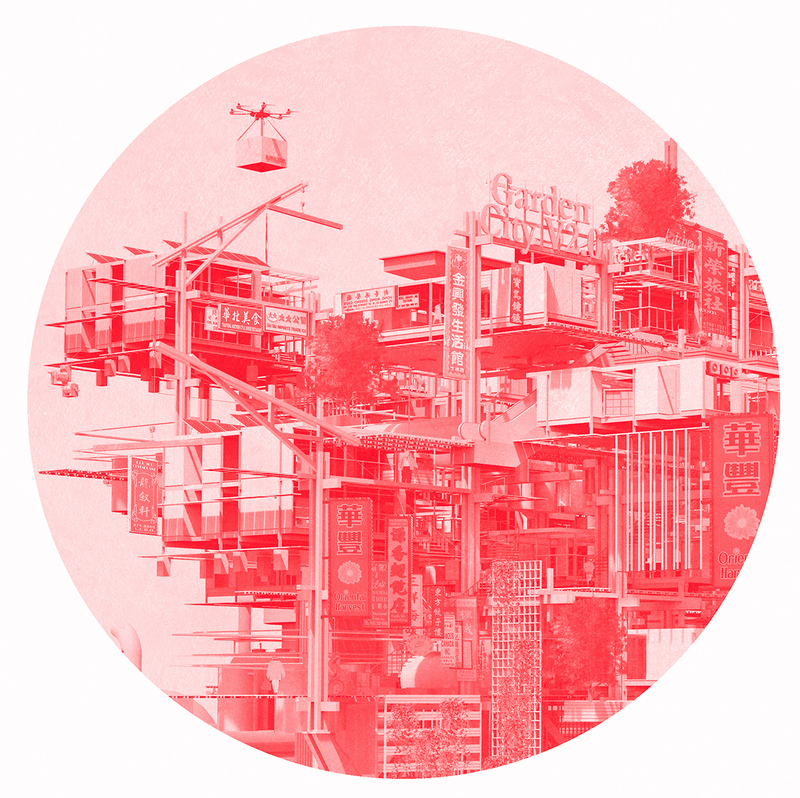 The workshop is for students, practitioners and academics of architecture and related disciplines wanting to explore different design approaches in a collective experience. In mountainous inland terrain at the confluence of the Yangtse and Jialing rivers with a sub-tropical continental climate – Chongqing is a feisty, energetic, dense and rapidly changing city of 12million people within a wider municipal area of 38million. Chongqing’s riverside crossed by dramatic and iconic bridges which carry the crucial city-wide connections of roads, railways and metro lines. How can they be adapted for the human, how can they be extended as cultural and social components of the city. We aim to augment the existing urban network and extend it to develop a living bridge, an urban destination. We will start by looking at ideas of Living/Green/Working/Cultural/Vertical Bridges from around the world. We will then focus on existing or speculative bridges in Chongqing and speculate on individual conceptual and real design solutions. We are looking for a new architecture and urbanism that will unlock the potential of bridges. The project will use sketching, analogue and digital drawings to explore narrative and emerging ideas. The final outcome will explore large scale hybrid drawings/models as the main tool for communication. The workshop is jointly run by Sabine Storp and Patrick Weber from The Bartlett School of Architecture, UCL, London and Matthew Priestman from Priestman Architects Hong Kong/Chongqing. The cost of the workshop will be GBP650 or equivalent RMB at the time of exchange rate. See www.thenegotiatedcity.tumblr.com for more details and news.